Makerspaces are appearing in more and more libraries across the nation. 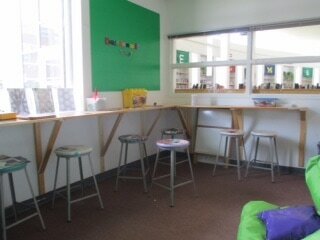 They are a place where students can get creative and use the tools provided for them to create stuff. The focus tends to be on STEM tools and projects, but really, anything goes. There is no curriculum or due date, students are invited to use their own imaginations and set their own goals and timelines. Our makerspace is relatively new, but has been equipped with some really amazing hands-on products thanks to grants from Donors Choose, MEEMIC Insurance, and The Troy Foundation for Educational Excellence. A hands-on platform for kids to build, collaborate, and tell stories through video game creation. Purchased for our Makerspace with funds provided by a MEEMIC Insurance grant for education. Makes STEM Education fun! Start out easy with a banana piano. First setup takes seconds. Then make game controllers, musical instruments, and countless inventions. Advance to additional inputs and multi-key remapping up to 18 keys. Ages 8 to infinity. Turn the whole world into a keyboard. It's a simple Invention Kit for Beginners or Experts doing art, engineering, and everything in between. Purchased for our Makerspace with funds provided by a MEEMIC Insurance grant for education. Using ABS or PLA plastic (the material used by many 3D printers), 3Doodler draws in the air or on surfaces. It's compact and easy to use and requires no software or computers. You just plug it into a power socket and can start drawing anything within minutes. Purchased for our Makerspace with funds provided by a MEEMIC Insurance grant for education. We started with a room in the media center that students had never before had access to, at the time of inception the room was exclusively used by teachers for running common assessment tests and scoring. 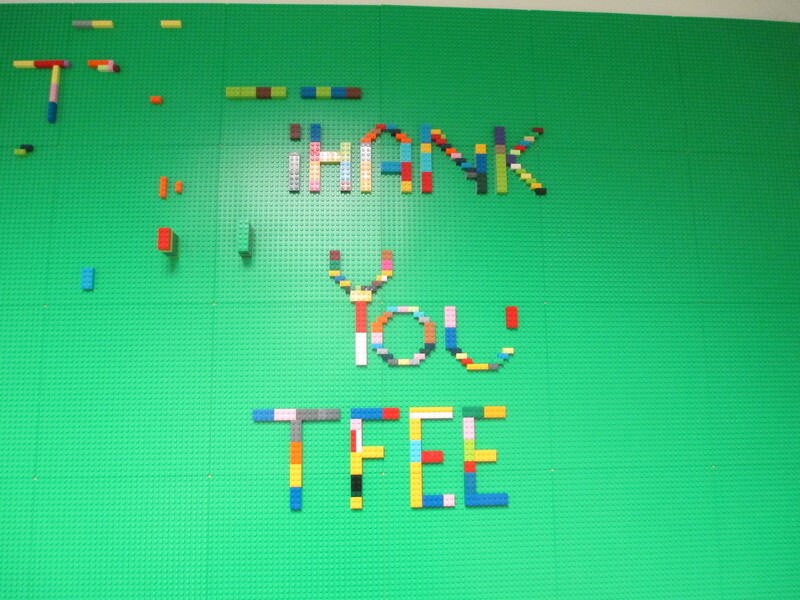 Added a Lego Wall (thanks Donors Choose!). Conner and Mckayla were media center assistants and they were the ones who conceived, designed, and created the room. Added our own personal touches. Here is one of the stools, salvaged from the art room and decoupaged by Mckayla.